I was super pleased to receive this in my Birchbox as I have recently been considering purchasing one of the brands other lip crayons. This product however is a new range for the brand. The LAQA & Co. 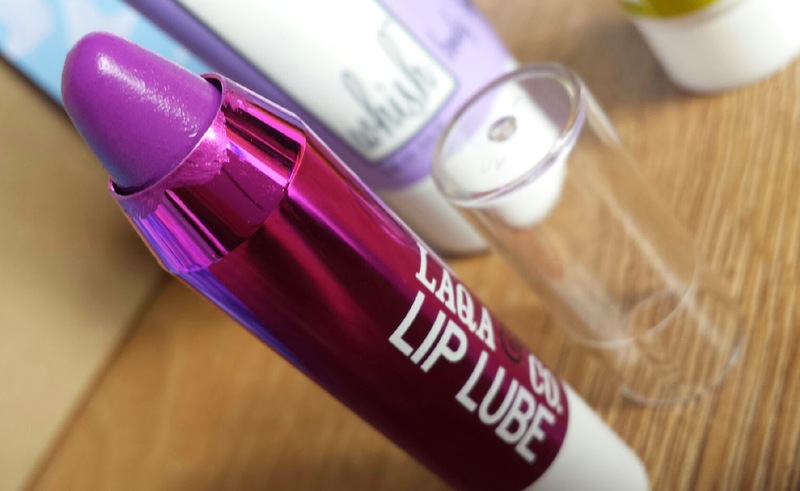 Lip Lube in Menatour Purple is a hydrating lip balm with a sheer hit of colour. It includes a peppermint and shea butter combo and it comes in a range of five shades. 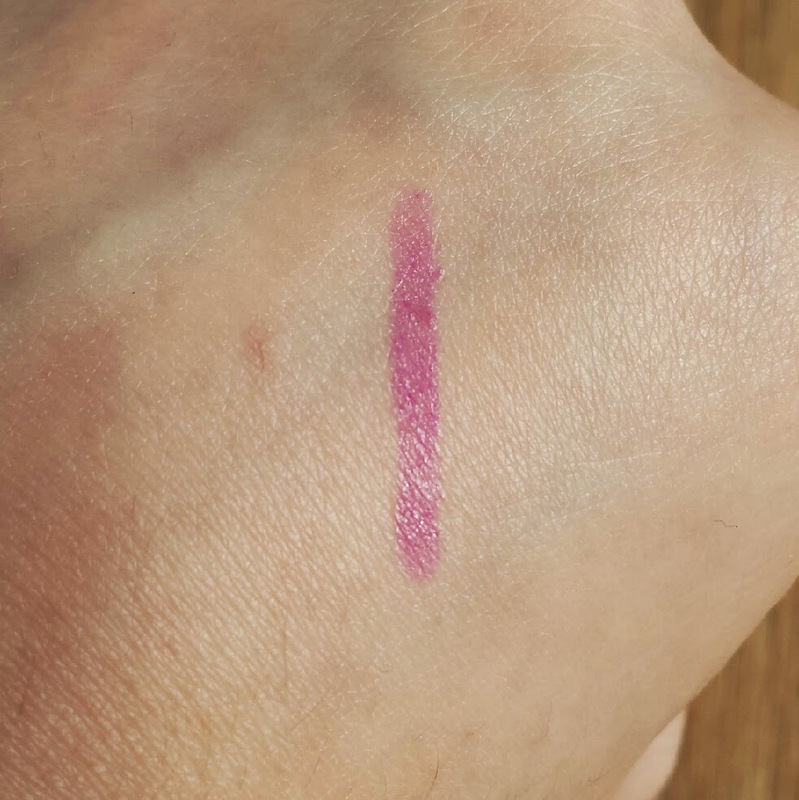 The shade I received is a sheer, bright purple. It originally does apply sheer and can be left as such if you choose, but if you do fancy a bolder look, you can build it up for an intense colour. The finish is creamy and glossy, but if you blot your lips on a tissue after application, the product becomes a matte finish. Upon application, the lip lube leaves a slight tingly sensation on the lips due to the peppermint included in the formula. This product overall to me is very similar to Revlon’s ColorBurst Lip Lacquer Balm; sheer, tingly, hydrating and glossy. I cannot yet see it on the UK version of the LAQA & Co. website, but it is available on the International site, in US Dollars. 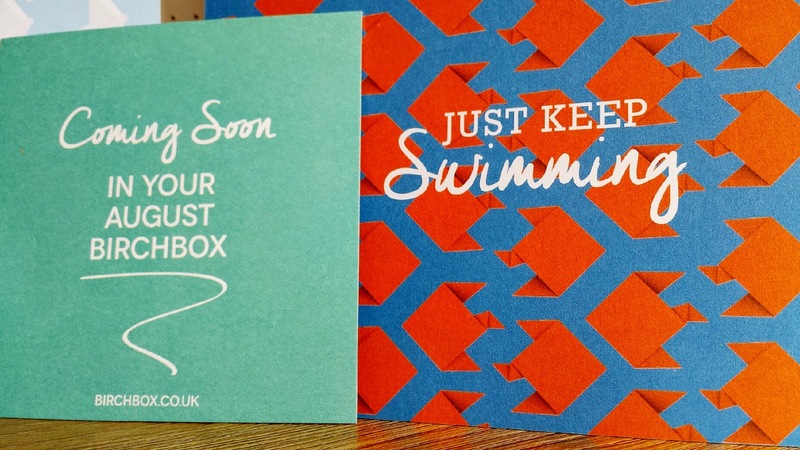 However, if you want to get your hands on them here in the UK, the Birchbox website says that they should be available for purchase on their website soon! Therefore, I don't currently have a price for you, but I will update as soon as I know. 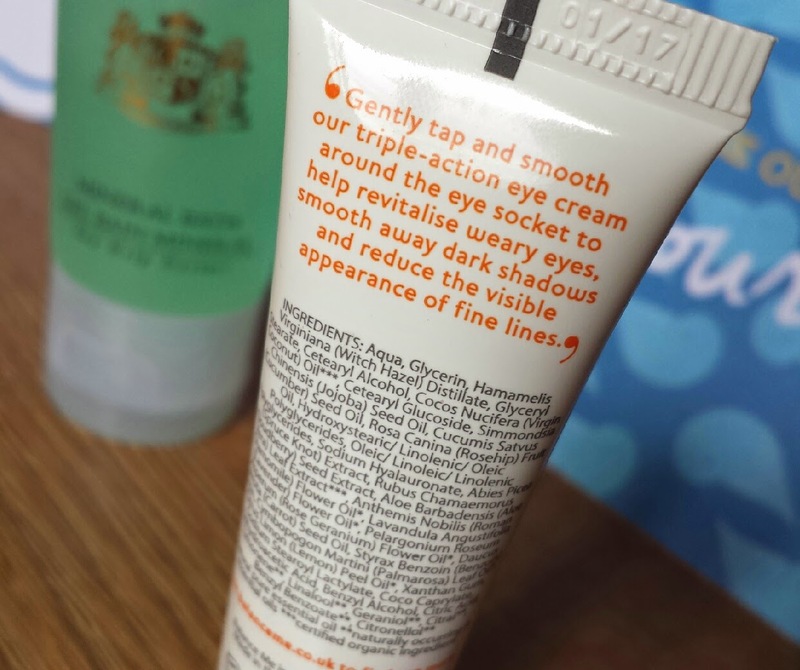 This eye cream is a three-in-one formula to brighten, soften and smooth your eye area. It features Roman chamomile, lemon, cucumber oil, witch hazel, antioxidant spruce knot, virgin coconut, rose hip oil and carrot oil. It is a creamy formula and not gel based. To apply, you need to lightly pat a small amount of cream around the eye area and smooth into the skin. It doesn’t take long to absorb, which is a plus! The issue with eye creams is that you need to use them for a while before you see any results. Therefore, it is pretty difficult for me to try to explain how it is working for me when I haven’t given the product any sufficient amount of time to blossom. Because of this, I’m going to come back and add my experience with this product when I feel that I have seen its full potential. I think that will then be a truer reflection on the quality of the cream, meaning a better review with more knowledge for you guys! I can say for now though that this product absorbs really easily and leaves the eye area soft and comfortable. After using this eye cream for a few days, I am already beginning to notice some improvements. I have been applying it at night time (with an eye gel in the day time) and my eyes are starting to feel firmer and brighter. I'm really happy with the results so far, so I am going to continue using it to see what further benefits occur! 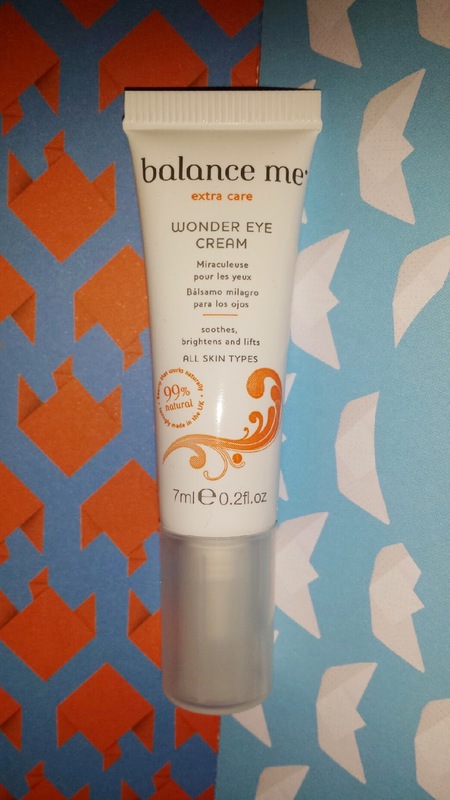 If you are interested in buying Balance Me Wonder Eye Cream, you can purchase it for £20 for 15ml from Look Fantastic, John Lewis, Debenhams, Balance Me's own website and of course, Birchbox. This product is going to be difficult for me to review. I have recently become a ‘no-poo’ convert, meaning that I no longer use shampoo (don’t worry, a post will be coming about it in the future!). Instead, I opt to use different methods to wash my hair that don’t cause as much damage as the silicones in shampoo do. With that said, I have instead passed this shampoo sample over to my sister who still does use it and requested her feedback! Whilst I am still waiting for her to get back to me about it, I'll explain as much as I can about the product. 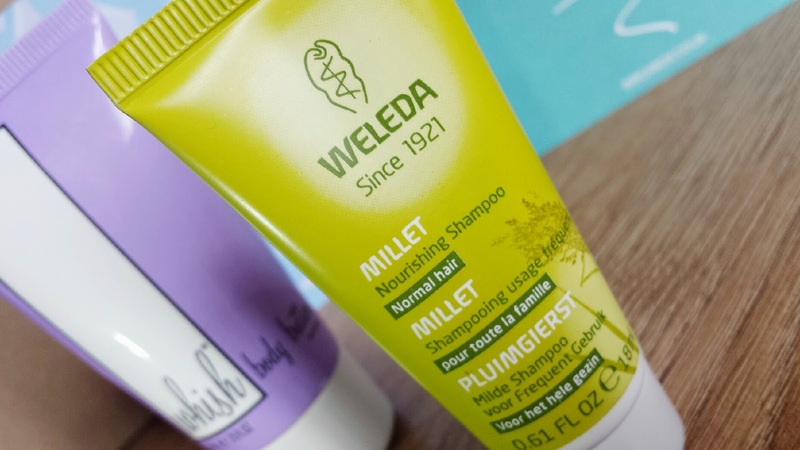 Weleda’s Millet Nourishing Shampoo gently cleanses the hair and helps it to retain its natural shine. This shampoo is designed for use on normal hair. It contains macadamia nut oil and extracts of grapefruit and peppermint. It also doesn't lather! My sister hated this shampoo! She said that when applying it to the hair, it wouldn't spread throughout, instead only staying in one place on top of her head. She has thick, chin length hair that can get very dry on occasion, so she isn't used to having to use so much on short hair. However, she had to use close to the entire sample just to cover all of hers. Once lathered up, she claimed that her hair felt kind of slimy, but the worst was upon rinsing and drying. She told me that this shampoo was really difficult for her to rinse from her hair, even though she spent a long time working on it. After following up with her own conditioner, she dried it. Upon drying, her hair turned greasy incredibly fast, which is really unusual for her. On the flip side though, it did feel super soft! 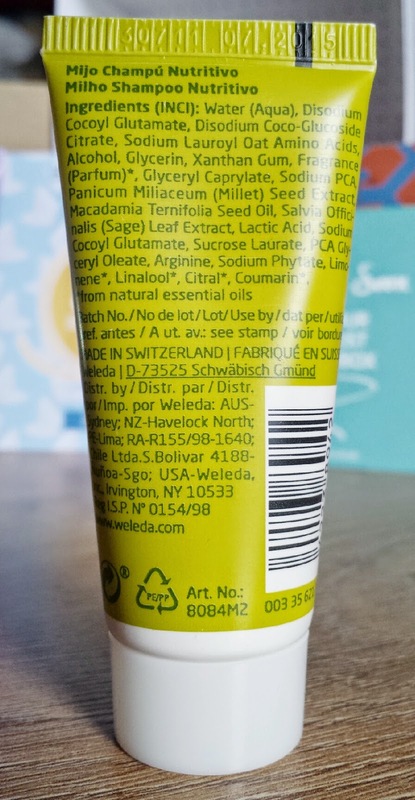 If you want to purchase a bottle, you can buy it for £8.95 for 190ml from Birchbox and the Weleda website. This organic, non-greasy body lotion features organic aloe, shea butter and raspberry butter to combat dryness. It also contains organic seaweed extract for its skin firming properties and organic rice bran oil which is an antioxidant and natural UV protector. As expected from the name, this body butter also contains lavender extract. I am a huge fan of lavender because it works really well with my skin, so I was pretty happy about this. This body lotion absorbs really quickly, leaving the skin super smooth and non-greasy. Honestly, using this after a shower leaves the skin so soft. It also helps with the prevention of shaving rash as a lot of the ingredients have healing properties to keep skin in tip top shape. I'm a fan! The scent is subtle and is not overpowering, meaning that applying fragrance whilst wearing it isn’t going to cause a huge issue. 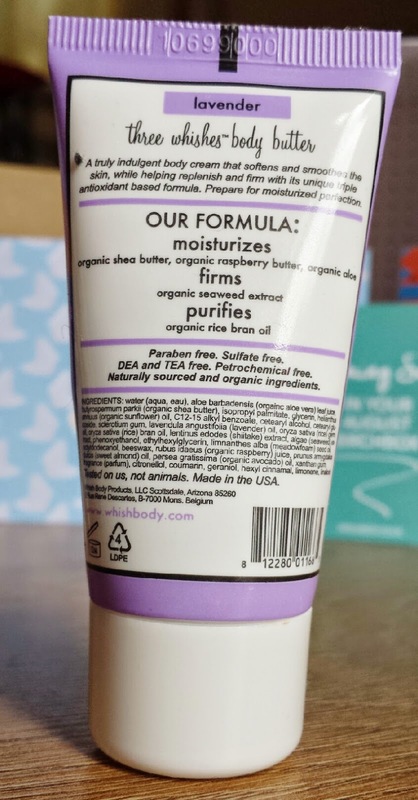 If you are interested in buying Whish Body Butter in Lavender, you can purchase it for £14.50 from Birchbox. 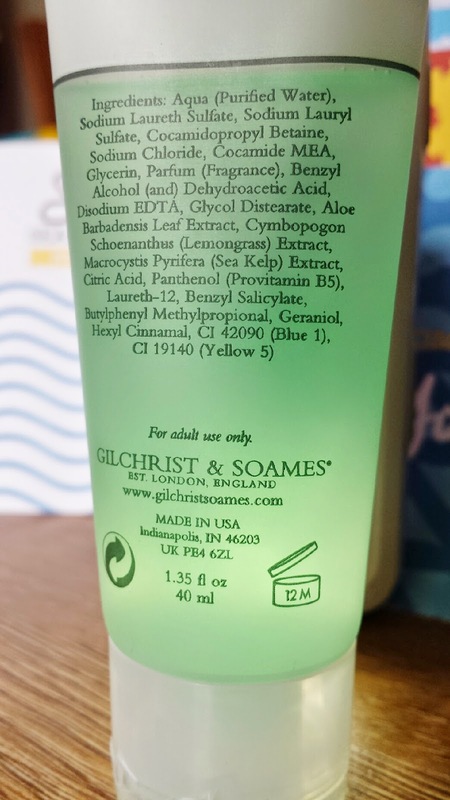 I loved the sample of a Gilchrist & Soames body wash that I received in a previous box, so I was pretty glad to see this! This product can be used as a bubble bath or as a body wash. I tested it out as a body wash and I loved it! The smell is so fresh and comforting, and it lathers up well. Afterwards, I was left feeling super clean and refreshed. I think that this will be perfect for a summer shower gel because it is the type of scent that I usually find myself craving during the warmer months, so I can imagine others likely feeling the same! I highly recommend this product! 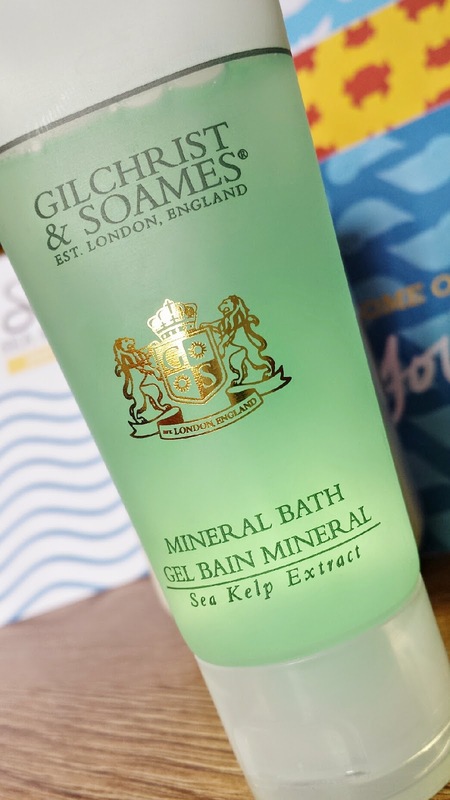 If you are interested in buying Gilchrist & Soames English Spa Sea Kelp Extract Mineral Bath, you can purchase it for £11.25 for 236ml from Birchbox. I have a confession to make. I hate coconut. I hate coconut water, coconut flavouring, the smell of it, the texture, everything. When I spotted this in my box, a part of me inwardly groaned. However, the other part of me spotted the fact that it was ‘lemonade’ flavour. Whilst I may hate coconut, I absolutely love sour tastes. When I looked at the ingredients of this and spotted that it contained lemon puree, I decided to give it a taste to see how strong the lemon was. I am happy to say that I could barely taste the coconut water in this! To me, it tasted purely of lemon, which is lucky! It was a rather lovely drink overall which really took me back. 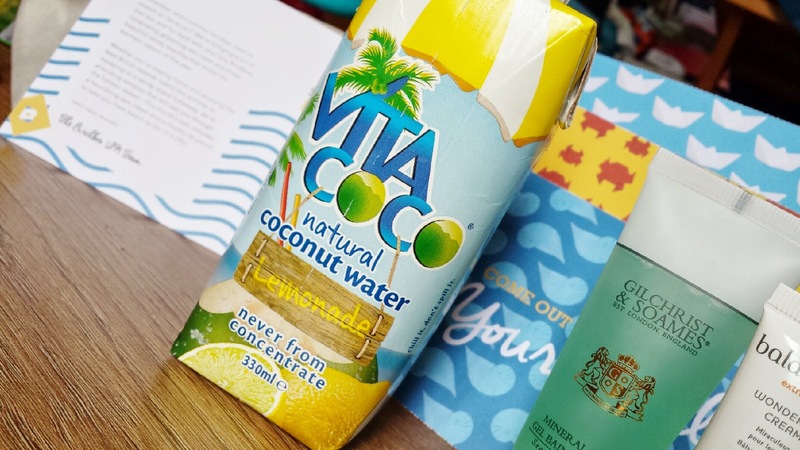 You can purchase a carton of Vita Coco for £2.29 for 330ml from Birchbox and you can buy different flavours from Holland & Barrett. 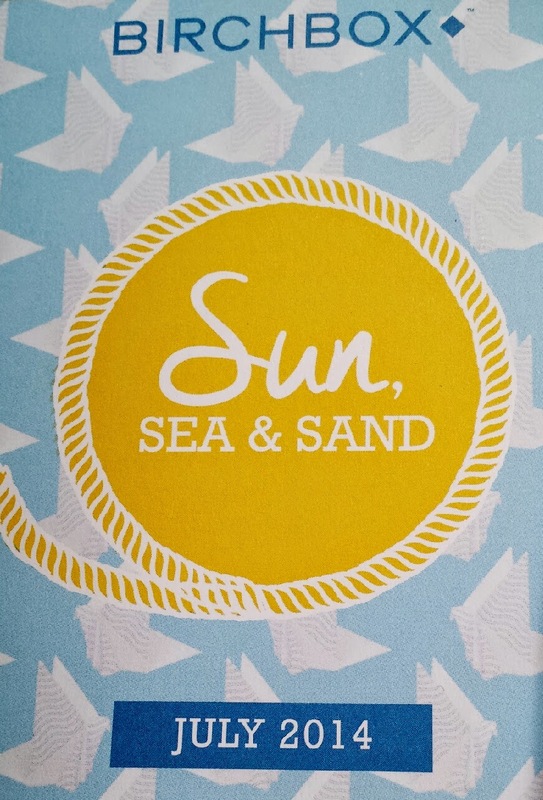 The Birchbox website states that some people should be receiving a Soigne nail polish in their box. As I received this in a previous box, my explanation and thoughts on it are explained over on this post! The site also says that some people will be receiving Benefit’s POREfessional which I also previously received (and own the full size version of). Whilst I wasn’t blogging at the time I received that box, I have mentioned the POREfessional in a couple of other posts, most particularly in this post here. Overall I was happy with this box. 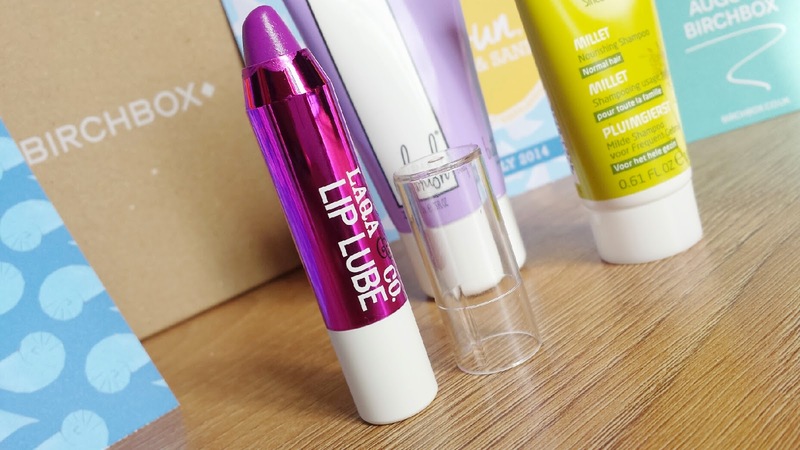 It wasn't my favourite box, but there are a couple of products that I really liked. My recommendations from this box are the Gilchrist & Soames mineral bath, Whish Body Butter and the LAQA & Co. Lip Lube. Also, if you enter the code BENEFITX2 at the checkout, you receive a sample duo of Benefit's new They're Real Push Up Liner and They're Real Mascara! 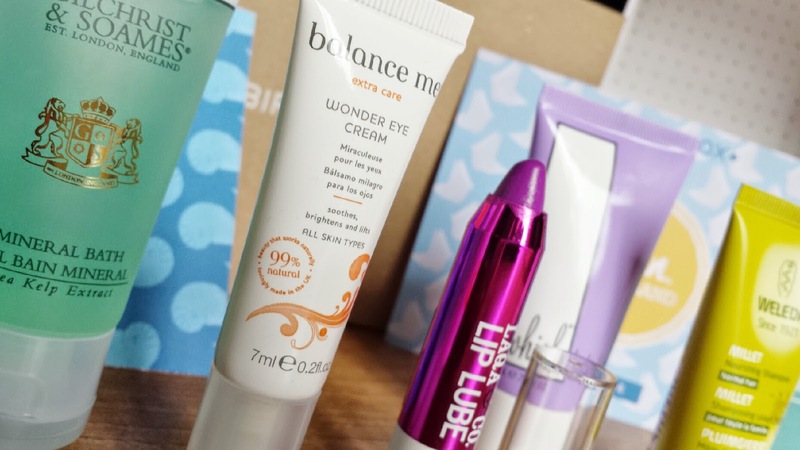 If you are interested to see what I think are the best products featured in Birchbox in the first half of 2014 then please check out this post! It can look like a pretty intimidating purple when you see photos of it, but it's definitely worth testing! I need to try the lemon version of the Vita Coco because I really disliked the original. This is a good box for those after bodycare products, xoxo. The lemonade flavour is pretty sour, but if you appreciate sour tastes then it is definitely worth giving a go! At first it is a little milky, but then straight away the lemon comes in. It's kind of like a milky lemon. It's so difficult to try to explain it! Haha! But yeah, overall it was a great box for body care products! 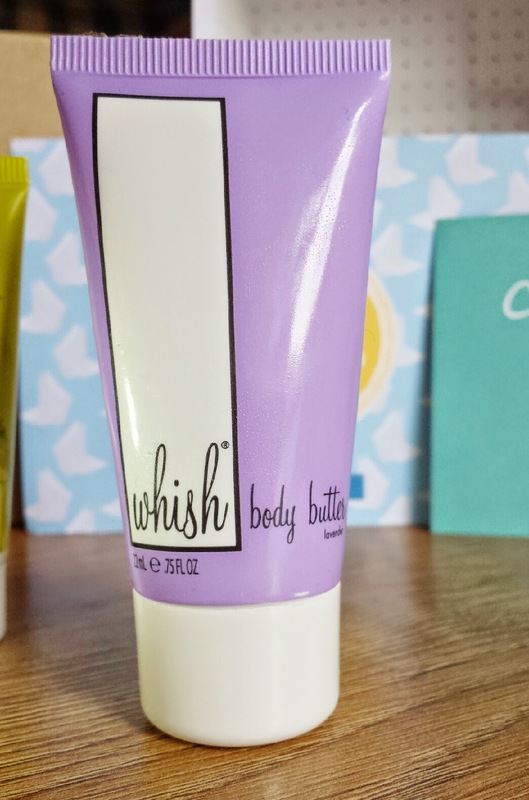 I want to try out more products by Whish after trying this body butter and I think that I will be purchasing a full size G&S! I absolutely love the lip colour it looks great on you. 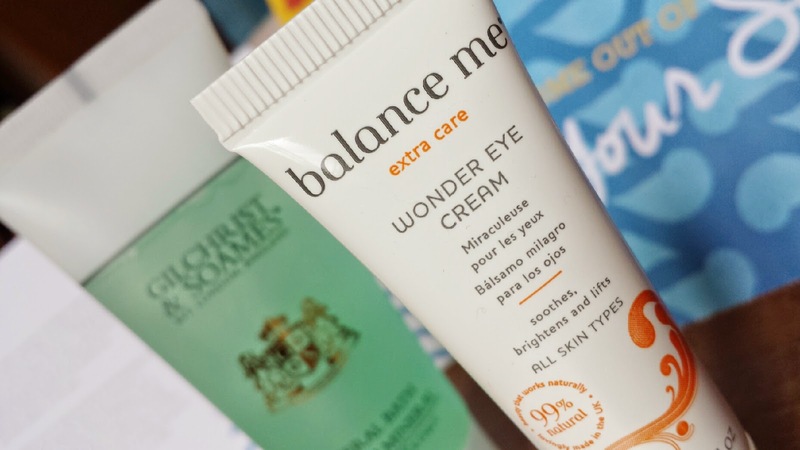 I cant say that I really like the balance me eye cream - for saying it is 99% natural it actually stung my eyes on application! I got a few different bits to you - I had porefessional and a models own nail varnish so I was pleased. Thank you very much! :) It is a pretty shade! Maybe it's due to the amount of essential oils in it? I love lavender, so the whish cream looks great.